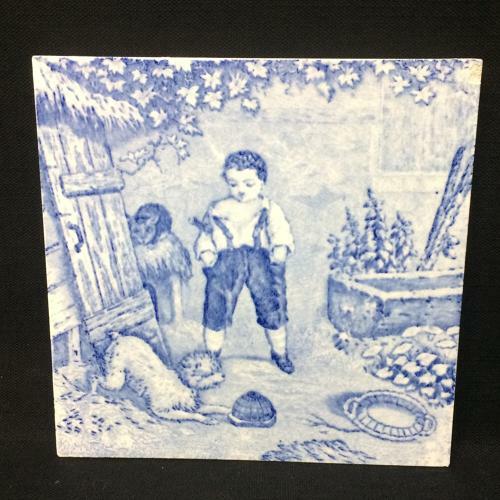 This Victorian 6 " x 6 "tile is transfer printed in blue against a white background. This tile is from a rare to find series depicting Rural Life fo Children in the golden Victorian age. Whimsical and creative of a bygone era.